Howard Griggs of the Argus has put together an immensely fascinating series of interviews relating to Brighton & Hove Albion and the World Cup. 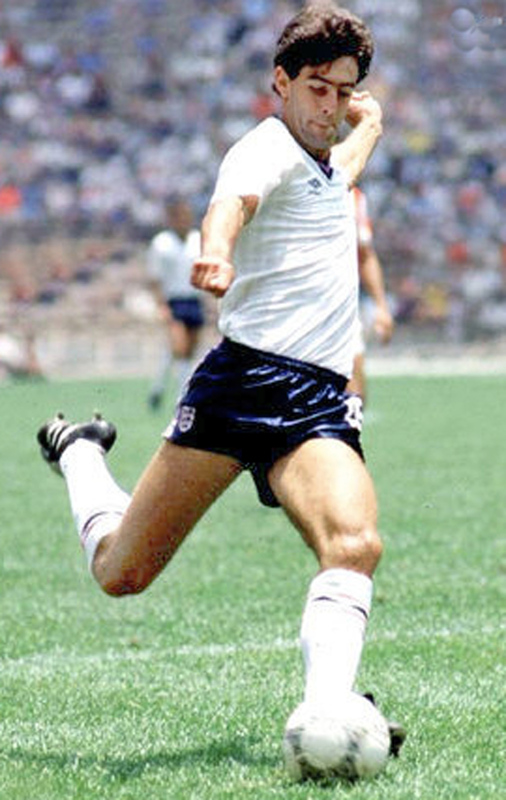 On Wednesday he speculated whether Gary Stevens could have stopped Maradona’s wonder-goal in the Mexico ’86 Quarter-Final between England and Argentina. The chances are he would have made a better effort at chasing back than the half-fit Peter Reid. I came on as a substitute for Peter Reid in that Paraquay match. We won it comfortably and after the game were having our debrief when Peter Shilton started going on about how we had lost our shape when ‘Reidy’ went off, careering forward and what have you. I looked at him and said “Shilts, what you’re saying is that when I came on we lost our shape.” And he was going “No, no, when ready came off.” I said, “Yeah, but I came on. You’re having a pop at me.” That was the old pals act. It was done to some extent to guarantee that Peter Reid played in the next match against Argentina, which he did. Then, on Friday, the Argus published Griggs’ piece about how Steve Penney’s participation in the tournament in 1986 with Northern Ireland was ended by Spain’s Emilio Butragueno’s challenge.. Finally, Gerry Armstrong’s World Cup exploits also get an airing. Like Stevens and Penney, he also figured in Mexico ’86 but, of course, his moment of triumph came in 1982. It was time to stop the rot. 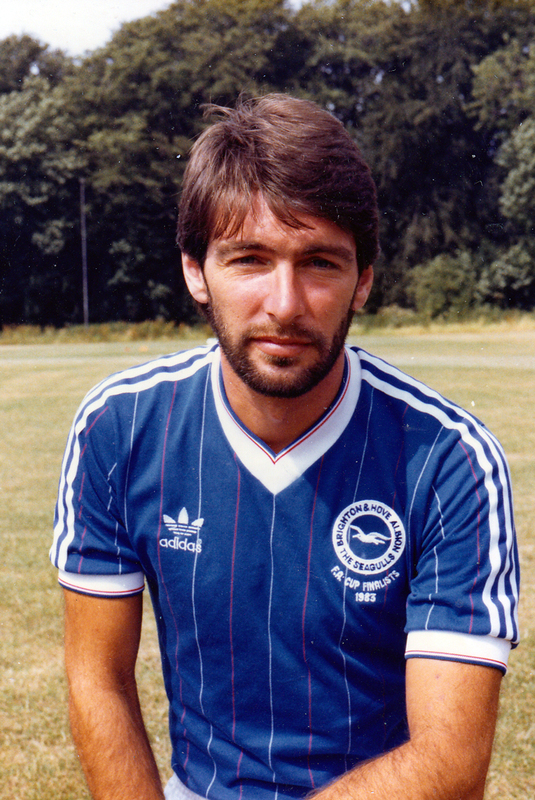 After opening with three successive defeats, Gordon Smith converted a penalty as relieved Brighton under Jimmy Melia picked up a very welcome 1-0 victory against Derby County at the Goldstone in September 1983. At the time, the Rams had seasoned players of the calibre of Roy McFarland, Archie Gemmill and John Robertson. However, they were all past their best. County were managed by ex-Albion boss Peter Taylor, who had returned to the Baseball Ground in November 1982, having ended his long partnership with Brian Clough by quitting Nottingham Forest six months previously. Together, Clough and Taylor had shocked the world by leading the Midlands side to the League Championship in 1972. 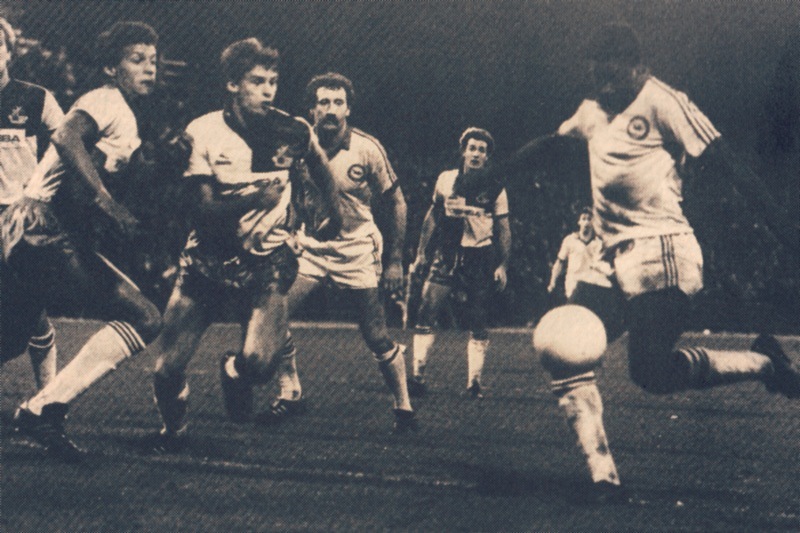 However, going it along a decade later, Taylor struggled, although he did put one over Ol’ Big ‘Ead when the Rams beat Forest in the FA Cup in January 1983. Chris Cattlin’s rebuilding programme, aimed at promotion next season, continued apace at crisis-ridden Derby. A wholly satisfying 3-0 victory also stilled any criticism at selling Steve Foster and Tony Grealish. Dissenting voices, always a minority, must now be faint echoes in the light of this latest performance. Displays like this beat out Cattlin’s promise that the last two and half months of the campaign will not be allowed to peter out. Amazingly, Peter Taylor axed four key players, including skipper Archie Gemmill and, before Gordon Smith scored the third and best goal of the match after 75 minutes, the Baseball Ground was a scene of bitter rancour. Peter Taylor, who with Brian Clough, threw Albion a precious lifeline a decade ago, is himself in need of rescue. Second from bottom, this grad old club, a founder member of the Football League, face relegation to the Third Division for only the second time, in their centenary year as well as today’s Inland Revenue winding-up petition in the High Court. Perhaps Robert Maxwell will save Derby after all, but the prospect of charing a Third Division club cannot be that attractive. If he were to pay the preferential creditors in full, Derby could be had for under £1m. Derby, this time shorn of not only Gemmill, but Paul Futcher who says he never want to play for Taylor again, John Robertson and Steve Cherry, had only endeavour to offer. This is really only a polite way of saying their football was nothing but kick and rush, but there was a moment in the first half when the game might have gone their way. That is did not was entirely due to Perry Digweed rectifying Willie Young’s mistake and preventing a certain goal by Bobby Davison. Digweed smothered the ball at Davison’s feet after Willie’s ill-timed pass back, and a few minutes’ later, when there didn’t appear to be a call, collecting one of Eric Young’s size 11 boots in the face. For at least ten seconds, Digweed didn’t know what time of day it was. This was his first game for Cattlin, and only re-affirmed the manager’s high opinion of his second-string keeper. A first ever Albion goal for Steve Penney. 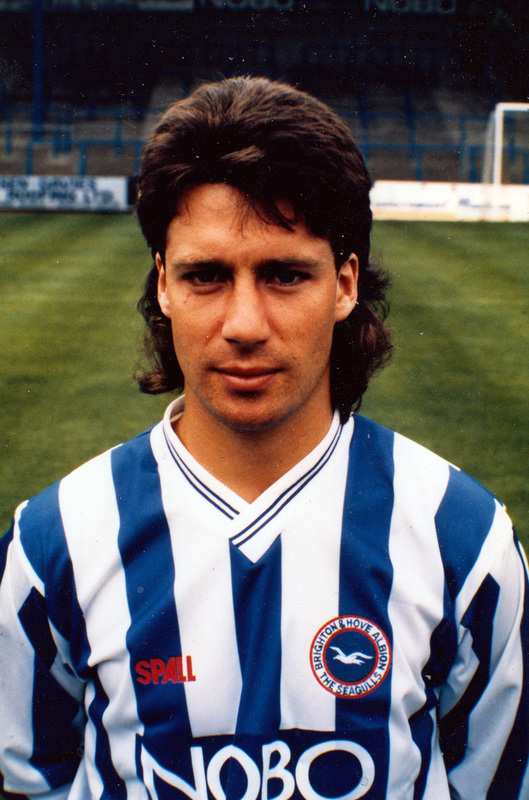 Brighton took the lead on 54 minutes when Alan Young’s header found Steve Penney. The Ballymena-born winger turned Steve Buckle inside out and finished off the far post just as goalie Yakka Banovic tried to close the angle. Striker Alan Young turned from provider to goalscorer eight minutes later, latching onto Gary Howlett’s pass to fire the ball home off Banovic’s foot. 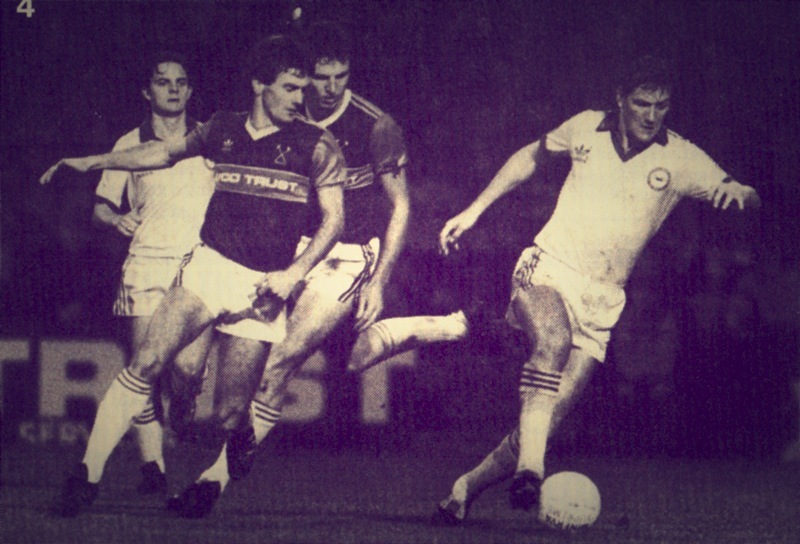 Finally, Gordon Smith wrapped up the match with his last ever goals for the Seagulls, and it was a good one too. Danny Wilson caught ex-England defender Dave Watson at sixes and sevens and fed the Scotsman who rifled the ball into the roof of the net. At the end of the season, Brighton finished ninth and Derby in 20th. However, it was a brief stay in the Third Division for the Rams and they returned to the Second Division in 1986 under the canny leadership of Arthur Cox. A day of confusion and disappointment at the Goldstone ended on an acrimonious note with Steve Penney saying he would never play for Barry Lloyd again. Penney, who had been relegated to the subs’ bench together with Paul Wood, then left to join Billy Bingham’s squad for Wednesday’s World Cup game against Eire in Belfast. Penney repeated his request for a transfer. He had asked to leave in May 1987 when Albion went into the Third Division. This time, he put his point of view to chairman Dudley Sizen, and later publicly slated the club. “The way things are going here at the moment is absolutely ridiculous,” he said. 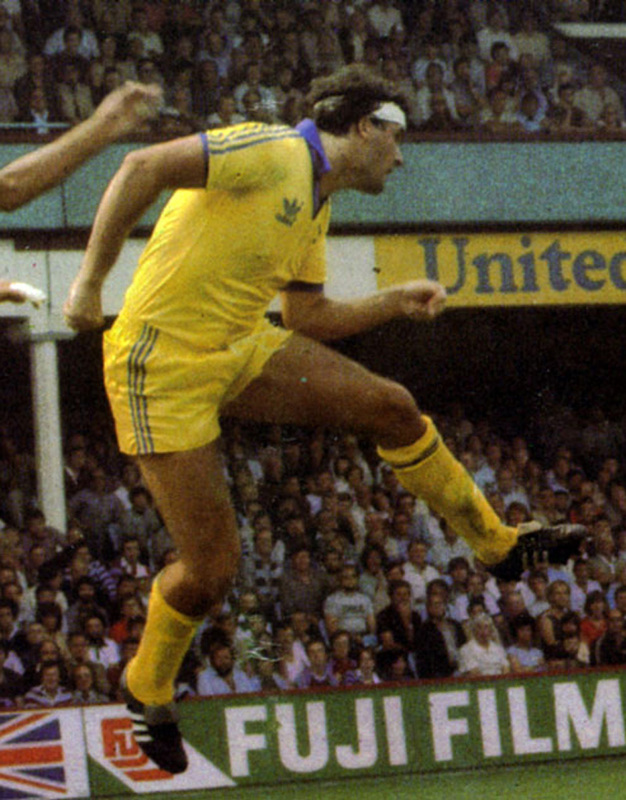 He maintained he was being unfairly treated by Lloyd and that his dropping coincided with playing a target man in Gerry Armstrong. That switch, according to Penney, didn’t make sense as he is the principal provider of crosses. “There are other things involved, including financial details. I was told only three-quarters of an hour before playing that I was not playing, and it seems I’ve been made the scapegoat with Paul Wood. If Lloyd gets a reasonable offer for Penney, he will have no hesitation in selling, and that has been the situation for some time now. 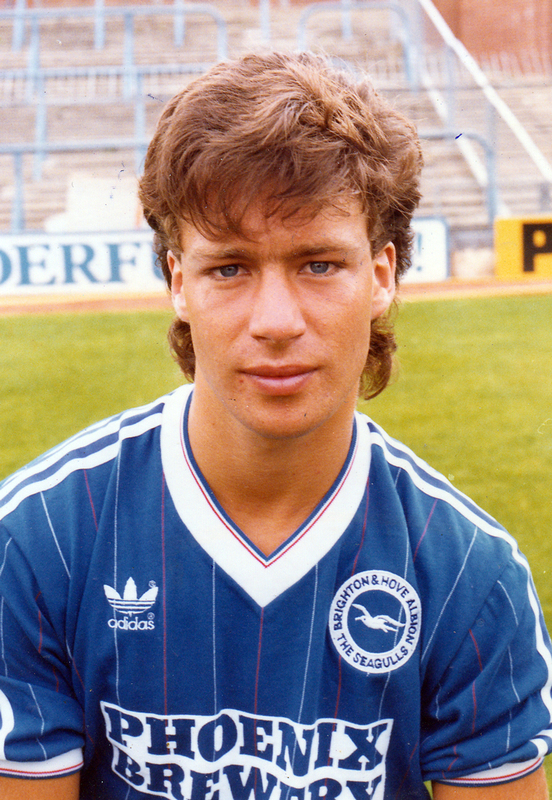 The Bournemouth game was also memorable for the fact that Perry Digweed failed to turn up from his home in Chelsea. As a result, John Keeley, who had injured a finger in training on the Friday, had to answer a late SOS and even had to send a friend to his home to retrieve his contact lenses. With all the drama, it was hardly surprising that Bournemouth opened up a two-goal lead at the Goldstone through Mark Newson and Shaun Brooks. After Penney came on, Gary Chivers halved the deficit after 66 minutes. 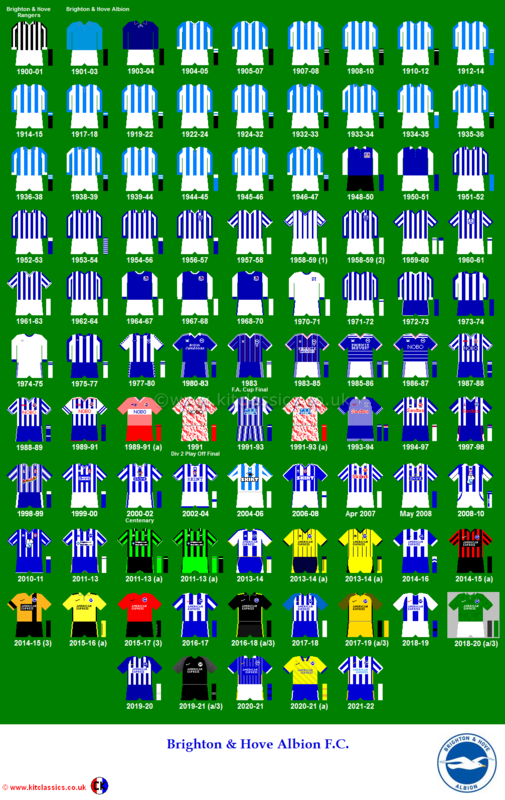 The game against the Cherries was the fifth in a dismal run where Brighton lost all of their opening eight matches of the 1988/89 season. Despite his vow that “I’ve definitely played my last game for manager Barry Lloyd,” Penney regained his place in mid-November in a surprise 3-2 victory at Ipswich, before scoring in the next match in the 3-0 drubbing of Sunderland at home. Steve will be playing on Wednesday night because he’s played 15 games for me and that’s not his character. In the end, knee injuries took their toll on Penney, and his appearance for the Albion in the return fixture with Bournemouth on 2nd January 1989 proved his last for the club. He was given a free transfer towards the end of the 1990/91 season. Nevertheless, the tricky winger who so mesmerised the Liverpool defence on national TV in the FA Cup in 1984, is still remembered with great affection by Seagulls fans. Will those be the Wolves tactics for the match at the Amex? !